The majority of undesirable, dementia related emotions and behaviors are a result of the environment. 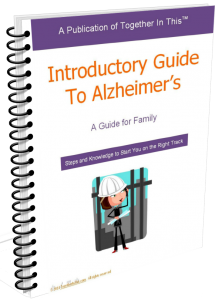 In this dementia care class, Mike Good discusses the four elements you must address in order to create a safe and enriching home environment for your loved one with Alzheimer’s disease or another dementia. Focusing on these elements will result in fewer undesirable behaviors. And here’s your free checklist: Is My Home Dementia Ready? Do You Want to Learn More, and be Empowered to Take Action? You spend the vast majority of your time at home, so shouldn’t you invest in it to make it a place of comfort and happiness? Without proper training, can you realistically keep your loved one safe, happy, and enriched in their current home environment? You probably know in your heart that a memory care community might be able to give them the things you can’t, but it breaks your heart to even consider this option. Or you simply can’t afford it. What if you could more easily implement strategies and techniques to make your home environment more beneficial, like memory care, but still in the home they love? All the while, being able to shelter money now for better professional care later. Are You Excited to Learn More About the Course That is Changing How Dementia-care Training is Provided?